Your locally owned home improvement store of Sidney, Montana. 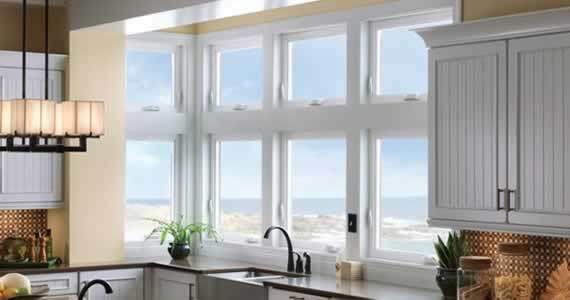 Big Sky Siding & Windows sells top-quality products and provides professional installations. Come in to the store and take a look at our home exterior products, courtesy of our full showroom. From window and siding sales and installation, to providing the finest quality doors in the industry, we’ve got all your home improvement needs covered. Sturdy and durable, Minnkota Windows are perfect for withstanding our extreme weather conditions. Whether you’re looking for swinging or sliding patio doors, we have many attractive options to choose from. Choose from top brands, including Steelside, Edco, Rollex and Norandex vinyl to select your perfect siding style. The American Construction Metals aluminum soffit and fascia system is designed for easy installation with no maintenance! Take a look at our endless Therma-Tru and BPI products, doors designed with you in mind. Midland Residential Overhead Doors provide outstanding beauty, strength and energy efficiency.